Cornwall, 1947. Marvellous Ways is eighty-nine years old and has lived alone in a remote Cornish creek for nearly all her life. Lately she’s taken to spending her days sitting by the river with a telescope. She’s waiting for something – she’s not sure what, but she’ll know it when she sees it. Drake is a young soldier left reeling by the Second World War. When his promise to fulfil a dying man’s last wish sees him wash up on Marvellous’ creek, broken in body and spirit, the old woman comes to his aid. 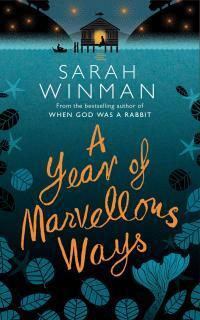 A Year of Marvellous Ways is the story of Marvellous – her life and loves and Drake who arrives at her caravan by the sea in Cornwall, England. It is an unusual book and it took me awhile to acclimatise to it. I am used to speeding through a book! It takes a little while to get into the rhythm of reading it, I found it has to be read slowly – no skipping or I just might miss something. The language is poetical, sometimes evocative of the beauty of nature and at others of the stark ordinary workings of the human body. Here and there is a play on words – sometimes I chuckled and reread as I enjoyed the little surprises tucked away in various corners. Even the title of the book surprises! Before I had read the synopsis of this book I had no idea Marvellous Ways was the name of a person. Marvellous is old, wise, and knows how to be herself and not bend to others rumours and opinions or actions. She is a healer, a caring person and a kind of doctor of the soul and spirit She has had three loves in her life, all important with the last being the longest. She doesn’t worry what the neighbours think and sometimes her actions were shocking although I think that was part of being herself rather than setting out to be shocking. I liked her very much. Drake a soldier scarred by war and what he has witnessed of the hard realities of men’s despicable actions, has loved and lost, and when he arrives on Marvellous’ doorstep is very broken. He never knew his father and lost his mother early in life. As time goes by he heals with good companionship, story telling and decent helpings of sloe gin. There is horror and heartbreak, life and death, love and loss, war and peace, the healing of sharing and telling your story, the importance of the sea and nature, and the importance of being needed in this novel. Marvellous is coming to the end of her life, Drake must learn to go on and be at peace. The ordinary mingles with the magical, often in dreams and sometimes in the daily living. The novel speaks of integration for both Marvellous and Drake as they share with each other their lives and are heard. They are a blessing and gift for each other, and while the final surprise was no surprise it was still satisfying. I love the cover of this book, the teal blue is perfect, the orange firefly look, I believe ties in with the orange starfish often mentioned in the novel and it has a beautiful feel. Makes having a paper book in your hand a sensory experience. Covers matter! Ten Tiny Breaths. K. A. Tucker. After a terrible car accident destroys her life as she knew it, 20-year-old Kacey escapes to Florida, where she encounters an irresistible man determined to capture her wounded heart. Four years ago Kacey Cleary’s life imploded when her car was hit by a drunk driver, killing her parents, boyfriend, and best friend. Still haunted by memories of being trapped inside, holding her boyfriend’s lifeless hand and listening to her mother take her last breath, Kacey wants to leave her past behind. Armed with two bus tickets, Kacey and her 15-year-old sister, Livie, escape Grand Rapids, Michigan, to start over in Miami. They’re struggling to make ends meet at first, but Kacey’s not worried. She can handle anything – anything but her mysterious neighbor in apartment 1D. Trent Emerson has smoldering blue eyes, deep dimples, and perfectly skates that irresistible line between nice guy and bad boy. Hardened by her tragic past, Kacey is determined to keep everyone at a distance, but their mutual attraction is undeniable and Trent is determined to find a way into Kacey’s guarded heart – even if it means revealing an explosive secret that could shatter both of their worlds. Ten Tiny Breaths by K. A. Tucker has been in my view since 2013 when I watched it on NetGalley and saw many, many reviews for it. I just passed it by, it didn’t seem like it was for me! I am not sure what made me finally give it a go, I must have read an audio review because that is the format I chose. So I found out then that it was not only New Adult but first person POV and written in the present tense. Hate that! Well I used to anyway because a sentence or two was only spoken and I was hooked and totally in for the ride. Kacey was in a car accident, where her parents, best friend and boyfriend were killed and she was left holding her dead boyfriend’s hand until she could be cut out hours later. Kacey and Libby now need to escape the place where they are living because the uncle is not all he should be. They set up in a small apartment and Kacey finds work through a neighbour Storm. Kacey is a hard nosed young woman, but she has not coped well with the loss and anger that she experiences from the accident. She has tried many avenues and still nothing works. She hates anyone touching her hand. 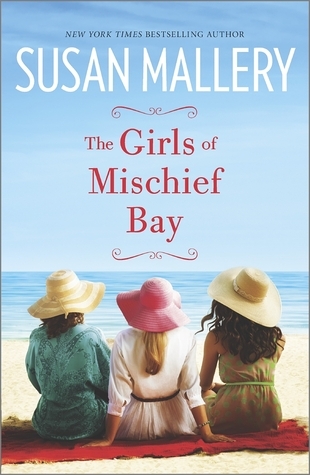 Her anger can be triggered and when it does – Libby is worried by what may happen. She forms a strong loving relationship with Trent the guy next door, yet this has its difficulties. I loved the cast of characters, they became like Kacey’s and Libby’s family. I smiled sometimes and I admit to a few tears too. I was able to predict what was to be a big shock for Kacey before it happened, yet I don’t hold that against the book. I think most if not all readers would see what was coming. As I listened I was struck by how much damage happens by those who drink and drive and cause accidents that need never have happened. It impacts for sure those who lose their lives, but what about those on the wider circle who are victims too – the family and friends. Or those who live through the accident. The narrator was perfect for the book and I will certainly listen to some more in this series. One prejudiced reader won over!